Inflatable stand up paddleboard is a bit like a cross between surfing, punting and canoeing: you take an inflatable paddleboard onto the water, stand up on it, and then use a single oar to propel yourself along. It's a great workout for the core, because you have to balance and twist to complete a stroke – and it's also a lot of fun.I personally think there are a lot of great pros to using an inflatable stand-up paddleboard. However, I think it's important to popularize the benefits of inflatable sups before deciding if it's right for you. We'll start with the advantages of ISUP. Easy to transport – The most common reason for wanting an inflatable board seems to be because they are extremely easy to transport.They are compact and small when deflated and fit nicely into a large carry bag/backpack. You can transport them easily in the trunk of your car, in an RV, on a larger boat or even on an airplane.Basically they are very convenient to take anywhere. This is the best choice for those who love to travel. Softer surface to cushion your fall – Everyone falls at some point while stand-up paddling. Hopefully the weather and the water are warm but it’s inevitable, especially when first starting out or when paddling in waves.I find that although ISUP’s can be extremely rigid, they do not have the same hard surface as a fiberglass boards do.Therefore if you should fall, you are less likely to feel the impact. This can be especially great for beginners or children. 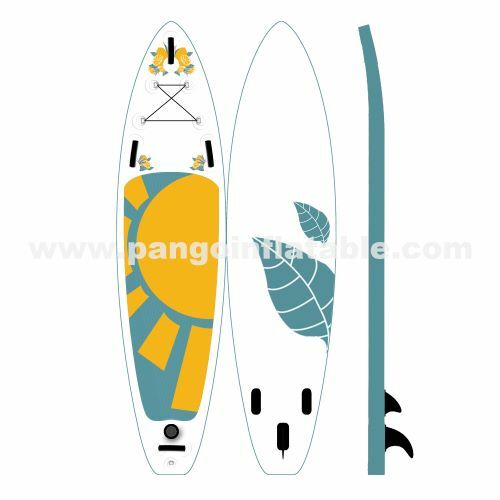 Very stable – For the most part I would say that inflatable paddle board are more stable than a hard-shell board.I find them much easier to learn on and in general just an overall more stable ride.